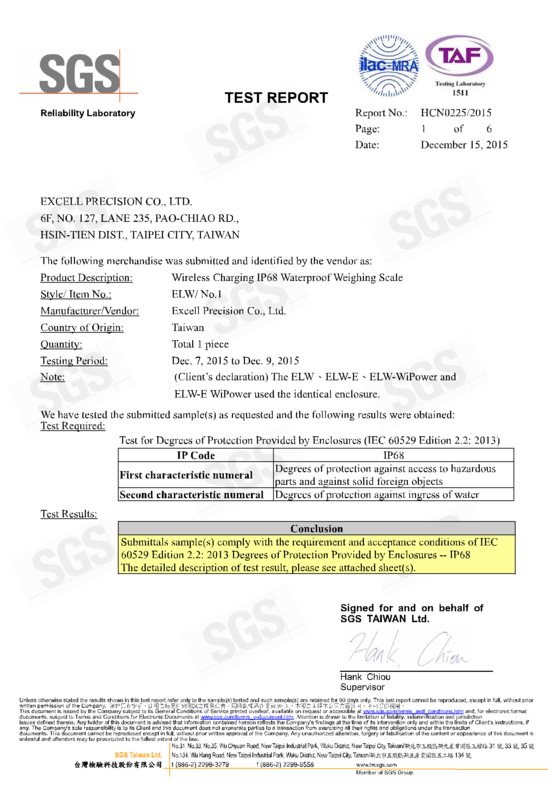 Excell today announced that its ELW Weighing Scale has received IP68 Waterproofing Certification. This is an internationally recognized standard in accordance with IEC 60529, which states the protection of enclosures against the ingress of dirt and against the ingress of water. The protection of enclosures against ingress of dirt or against the ingress of water is defined in IEC60529:2013). Conversely, an enclosure which protects equipment against ingress of particles will also protect a person from potential hazards within that enclosure, and this degree of protection is also defined as a standard. 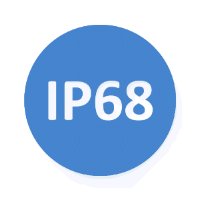 The degrees of protection are most commonly expressed as ‘IP’ followed by two numbers, e.g. IP65, where the numbers define the degree of protection. The first digit shows the extent to which the equipment is protected against particles, or to which persons are protected from enclosed hazards. The second digit indicates the extent of protection against water.